Turn old neckties into stylish flower fashion accessories. Make your necktie flower into a brooch or hair clip. Find some old neckties lying around your house or search in thrift shops for some cheap neckties to turn into beautiful flowers. You may even have all the supplies you need for your necktie flower project in your home already. Pick out some neckties with vibrant designs and make some extra flowers to give away to friends as gifts. Cut each tie tip to a length of about 2 inches. These will be the petals of the flower. Gather all the petals together with your thread and needle. 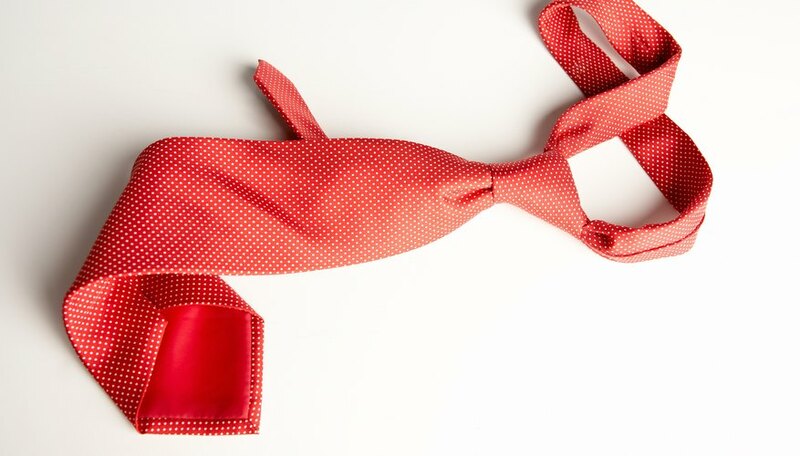 Cover your button with your scrap piece of silk necktie and make a couple of stitches to hold the fabric in place over the button. Next, place the button in the center of the flower petals and sew it in place. Stitch the black velvet circle to the center of the flower in the back to hide any unsightly stitches. Stitch your pin back to the black velvet circle to complete your necktie flower. Jessica Cohen is a professional freelance writer who graduated with honors from the New School University in New York City, earning her bachelor's degree in liberal arts. Cohen specializes in writing music reviews and related articles, and most recently worked as a grant/technical writer for a nonprofit music organization in New York City.